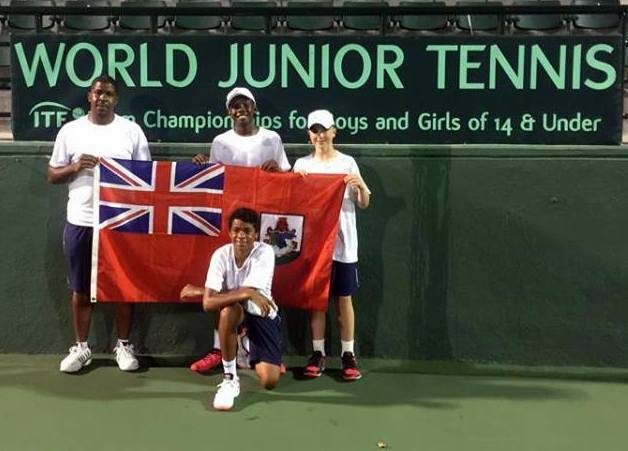 Bermuda’s Under 14 Boys team of Antonio Warner, Bobby Bart and Mackai Whitter would finish 8th as the ITF World Team Junior Tennis Competition in Santo Domingo came to an end. On the final day of competition the Bermuda team would go down 2 – 1 to Trinidad and Tobago. Bermuda would take the lead after Warner defeated Saqiv Williams in straight sets 6-4, 6-1 in a battle that took one hour and thirty-minutes. Trinidad would level the match at 1 – 1, when Luca Shamsi needed one hour and three minutes to defeat Bart in straight sets 6-0, 6-0. The doubles time of Bart and Warner would go down 7-5, 6-0 to Jamal Alexis and Williams in a one hour and seven minute battle.